Are Your Nails Ready For Summer? With the perfect amount of pink, China Glaze`s Flip Flop Fantasy comes in as my favorite nail polish for the summer. This matte pink coral color has everything a girl would ever need when it comes to looking good. 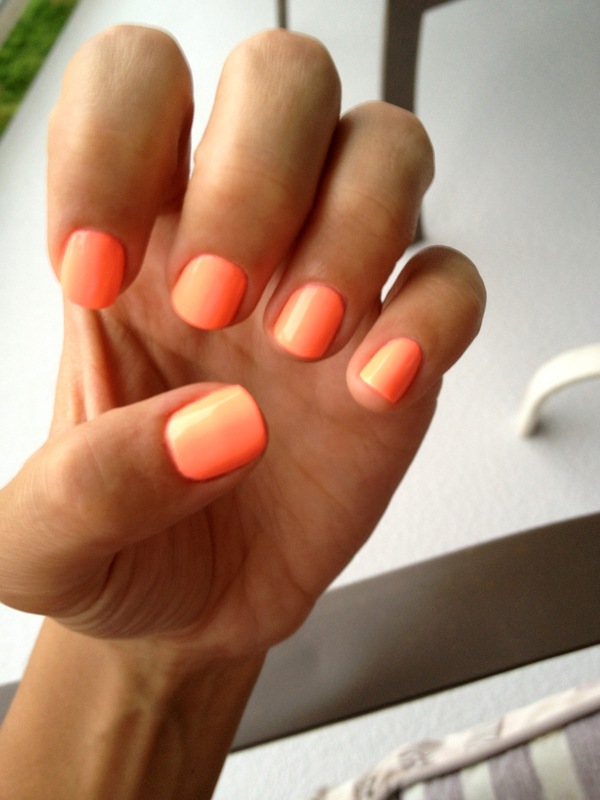 With the right amount of brightness and a creamy candy look, this nail polish can stand alone as an accessory. No need to have a pop of brightness on your shoes or a bracelet with this polish, it means business. Get your nails done with Flip Flop Fantasy then go get some sun and you will not regret your decision. Not only will you have a hard time keeping your eyes off it, you will also have everybody in sight asking what color you’re wearing. Screw your diet if you come in contact with an In N Out Burger! The popular western American chain of hamburgers, fries and delicious milkshakes have made it to the very top of my Friday Faves list. These burgers are like nothing you have ever eaten before. Juicy, succulent and full of flavor, anytime I am in California or Las Vegas my first instinct is to get my hands on an In N Out Burger. 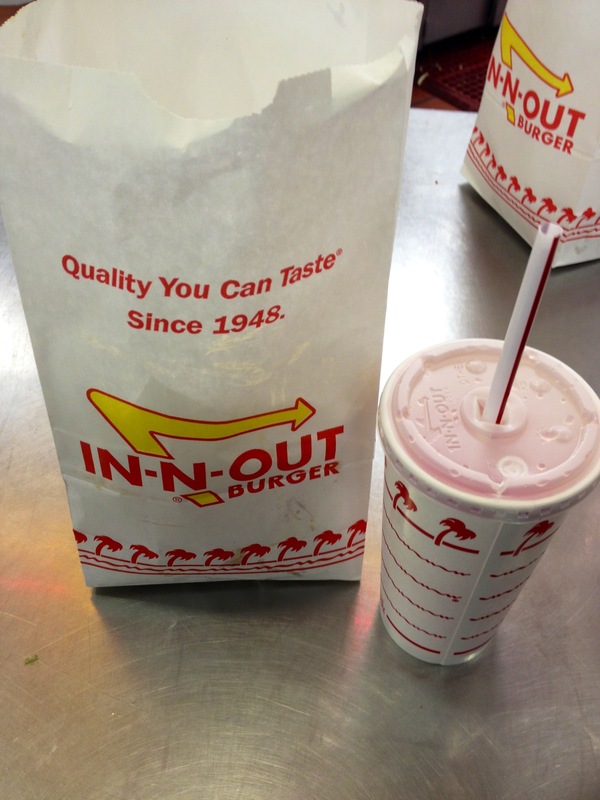 My girlfriends and I made a trip to Los Angeles in March and the moment we landed we asked the cab driver to make a stop at the nearest In N Out. After scarfing down the greasy deliciousness I came to realize that no matter where I am I continuously think about these world famous burgers. If you have not yet tried one you must make your way down to the USA. Once you have one I guarantee you will be a lifelong customer. If you are feeling quite adventurous I would upgrade your meal to Animal style. I think the name says it all! Okay now I may get a lot of grief for saying this but what in the world is Daft Punk doing? For starters, when you hear the term “remix” you assume that the song is actually going to change. Daft Punk however, has come up with the plan to remix their track “Get Lucky” and keep it very similar. They teased a preview of their remixed track that is a whole 10 minutes long. We get it Daft Punk, you want your album to continue to stay relevant but if you are going to do a remix why not switch it up. The two tracks sound almost identical. Brilliant DJ’s yes, but everyone makes mistakes. Why not remix some other DJ’s tracks so we can hear that signature Daft Punk sound once again. In life, it is very easy to become reliant on other people. When you value others opinions over your own and constantly need to ask what the right decision should be, that is when you know you are doing something wrong. I found that most of my life I was always searching for others approval and could never make my own decisions. Nobody in this life is going to get you to where you want to be, you must take yourself there. The more you try to look for the “right” answers the more you realize you are not finding any answers. Don’t rely on others so much, try and stand on your own two feet and learn that at the end of the day everyone is looking out for their own life and won’t make yours a top priority. You can try your very best to put all your effort into other people but in the end you are your own best friend. Take ownership over your own life and start making decisions that you feel will benefit you the most. Be the kind of person you want to be and remember you have only one person to answer to and that is yourself. Avicii is absolute brilliance. Stepping outside the box and regular realm of EDM Avicii brings to us the next phase in the ever changing genre. Dance music blew up so fast that most people believe it is at a standstill. Only the smart artists out there are realizing in order to shake things up and surprise people, one must be different. Just like how Daft Punk’s newest album Random Access Memories took everyone by surprise. The tracks were mellow and unique and now Avicii changes it up and brings EDM to Nashville. For a music lover like myself this couldn’t get any better since this means that genres will continue to collide and work side by side . Music will continue to grow and EDM will live on for a long time since it can mix with any genre. Listen to Avicii`s new track Wake Me Up and tell me what you think. I think everyone can agree with me on this one, there is nothing like Las Vegas. The lights, the glitter, the excitement boil through your body leaving you wanting more and more. By the time, you leave sin city you realize that it is probably a good thing you do not live there but then usually about once or twice a year the itch comes back and you go to the desert for a trip of a lifetime. Las Vegas has that thrill about it that not a lot of places have. It is a perfect place for anyone who enjoys indulging himself or herself for a weekend or so. Letting yourself be completely open to all the temptations and not feeling guilty one bit. I give everyone full permission to shop as much as you want, gamble, eat and party till the cows come home. I think it’s time to book a trip to Las Vegas! 1)	Pool Parties – Doesn’t matter which one you go to, you’re guaranteed to have a blast. Some of the top ones out there are Wet Republic at the MGM, Rehab at the Hard Rock Hotel and Encore Beach Club at the Wynn. 2)	Eat – Restaurants upon restaurants, buffets, everything you could ever imagine food wise is in Las Vegas. Make sure you work out a lot before going since you will probably eat enough to last you a year. 3)	Shop – This one goes without saying. If you are a fashionista, Vegas has enough cute stuff to keep you happy! 4)	Gamble – This one is a double sided sword, you can either win or lose but no matter what you will have a bit of fun. Everything is okay in moderation right. 5)	Club – Party, party, party, in Las Vegas since most of the biggest and best DJ’s have residencies at the major clubs you are sure to have your nights filled with alcoholic beverages, good looking people and a crazy dance floor. 6)	EDC – Every year in June Insomniac Events puts on a larger than life festival that will take you as far away from reality as you can go. Let loose, by some bright colored items and have the time of your life all night long. Best part about the festival is that you get to watch the sun come up. Good morning to everyone, hope the day has started great and you are ready to take on a new and exciting week! Today I am going to be talking about how to find joy in the ordinary. To me this means finding happiness from the simplest things and not needing something big to fulfill you. The ordinary is all around us we just need to learn how to appreciate it better. If you look for the best in everyday and are happy with what you have already, you will not feel the need for more. Be happy about your morning coffee, get excited about your daily run after work, all these things play an important role and are pieces towards the bigger picture. Remember happiness grows on the inside first, in order to conquer anything in this life, you must be happy with yourself before other things can fall into place. By finding joy in the ordinary will make you appreciate the moment and quit hoping for bigger and unrealistic things.